This is an appropriate time for me to address a question one of my clients offered about value estimates that are generated on the Internet. Computer generated home value estimators are rampant on the internet. Although easy and at your fingertips, this type of “Fictional Estimate” should not be used to make buying or selling decisions. Your home is probably worth much more than these electronic estimates indicate. Many homeowners don’t realize these computer estimators use very basic criteria such as the county tax card and flawed sales data. Most laypeople do not understand that their county tax record may provide inaccurate information. 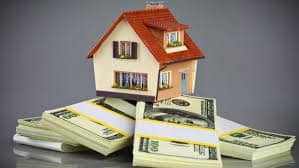 The sales data used may include foreclosures and distressed property sales that can drastically affect averages. When the time comes to sell your home or purchase a home, call me. I will be happy to complete a full market evaluation for your home. We can arrange a consultation to review your home’s attributes and how it will fit into the current Richmond Real Estate market. I will also provide a complete marketing plan. I am celebrating over 20 years as The Top Producing Agent for Long and Foster in Henrico County. I provide my clients with market knowledge gained through over 2,000 area home sales. I know the West End, and I know your neighborhood. Let me help you with sound advice and proven results. Contact Me Today!